One thing I love most in the world and couldn't live without is my little cockapoo, Mylo. We got him in 2012 after spotting him in a video with the rest of his adorable brothers and sisters, one of which lives down the road from us now, even though we picked him up from so many miles away! He's my furry partner in crime. Every morning he hops on my bed for snuggles or sniffs and scratches my door until I let him in. He tags along to pick me up from the train station when I come home from uni and if there's one thing Mylo is, it's spoiled as helllll- but he deserves it. I couldn't imagine life without this ball of fluff pestering and snoozing on me so when Pawsomebox said they'd like to send a box of goodies over, I was super excited! (I'm sure Mylo would have been too if he could read). Also in the excitement of taking these photos I didn't even notice that some of the leaves from our garden tree had gone crisp and landed on the ground! Does that mean Autumn is finally here? This awesome owl is relatively big and full of crinkly material that crackles when you squeeze it. Perfect to keep your pup entertained as they explore it with their teeth. It also has a squeaker in which Mylo seems to be obsessed with! But not as much as the fluffy cube. This toy was Mylo's favourite at the start until he discovered how awesome the squeaky lolly is. When he was just a puppy he loved anything fluffy, perhaps because he missed his siblings? This also has a squeaker in which he loves but for some reason is invested in trying to pull the squeaker out of this one and ripped a hole in it on the first day! It isn't as durable as the owl or lolly but we play a little rough haha. Hands down Mylo's favourite of the whole box. He told me so himself ;) You can tell when Mylo loves a toy because he will NOT share it, drop it and growls when you try to take it away from him! He does the same with lamb bones, furry instincts kicking in! Even if he loses this in the garden, it won't go gross from being out in the rain. Chicken and fish treats that are suited for his size. 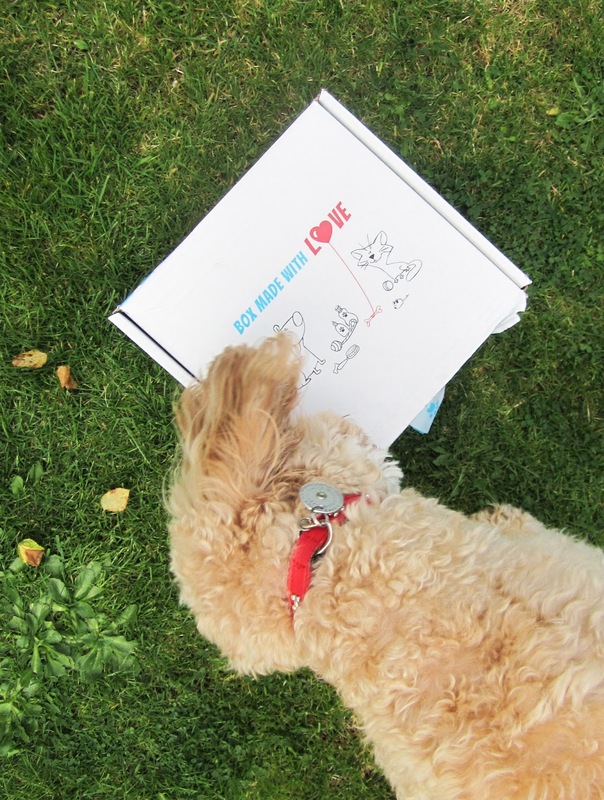 When you sign up for your Pawsomebox you tell them about your pup (or cat!) and they send out treats and toys specific to your pet's size. Super handy as Mylo loves munching and can have up to 20 of these a day! Though I've been keeping them for when he's extra good (never). These might look and feel like Krave cereal but believe me they are not hahaha. I think he prefers these over the sushi rolls, and they're a lot lighter so perfect for pocketing when you're going on a walk! Possibly the handiest of all, a waterproof bowl with a drawstring to take on our adventures in the Lake District. You just bring a bottle of water and fill it up on the go. It's foldable and light so again you could shove it in your pocket or even keep treats in it until you need to fill it up. So handy! 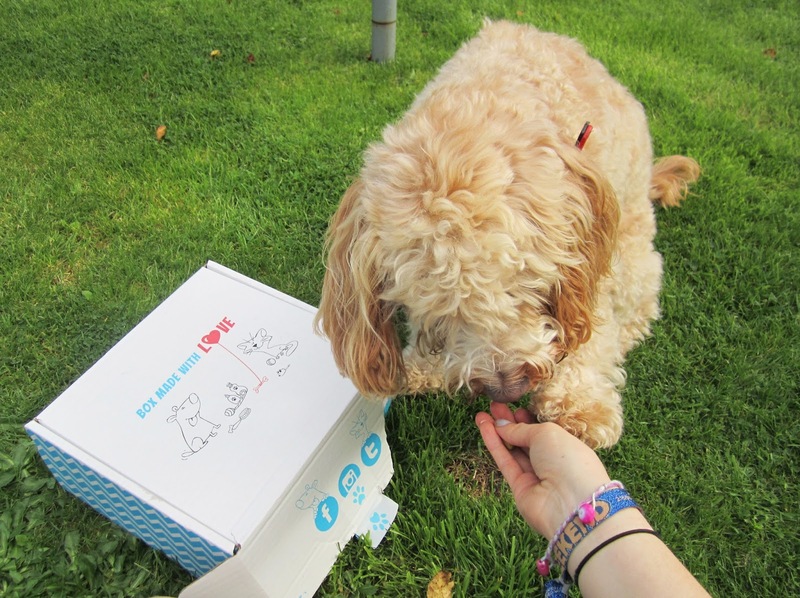 Pawsomebox* is a monthly subscription that you can opt out of whenever you want, even after just one box. 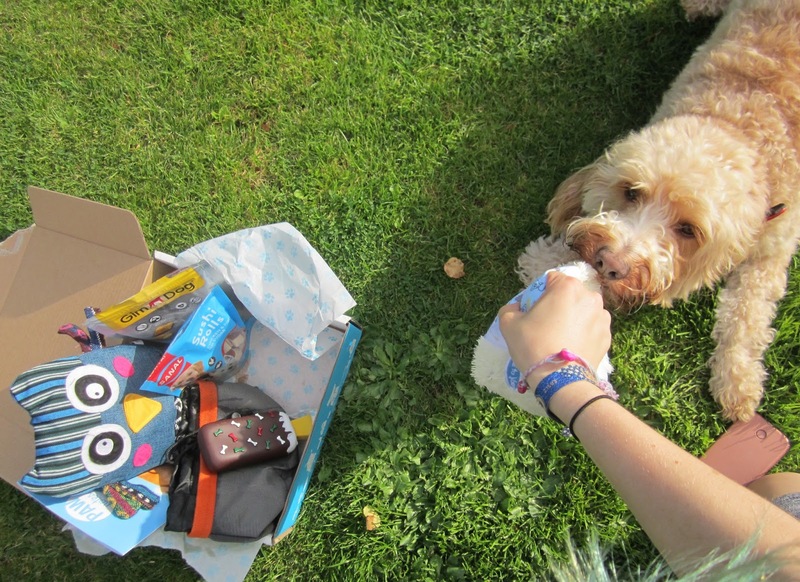 Every month you get sent different treats, toys, accessories and hygiene products so you're never inundated with the same thing and I think it's such a great way to find new treats that your dog likes! Obviously every dog is different so you just have to fill out your pup's profile before they choose and send you your box. 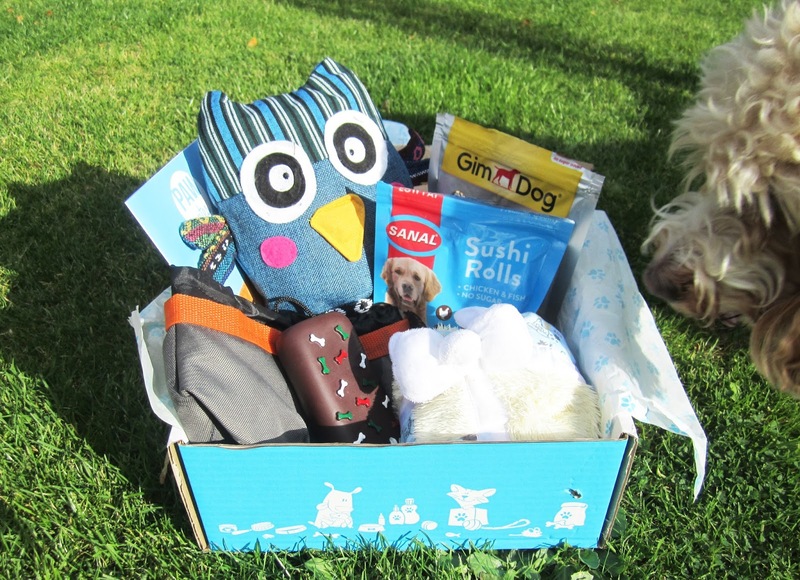 Here's £5 off your subscription from me and Pawsomebox UK. Pop the code 'ukbyfnsh' in at the checkout and let me know what you get! Hopefully your dog loves it as much as Mylo does. Visit the site here! 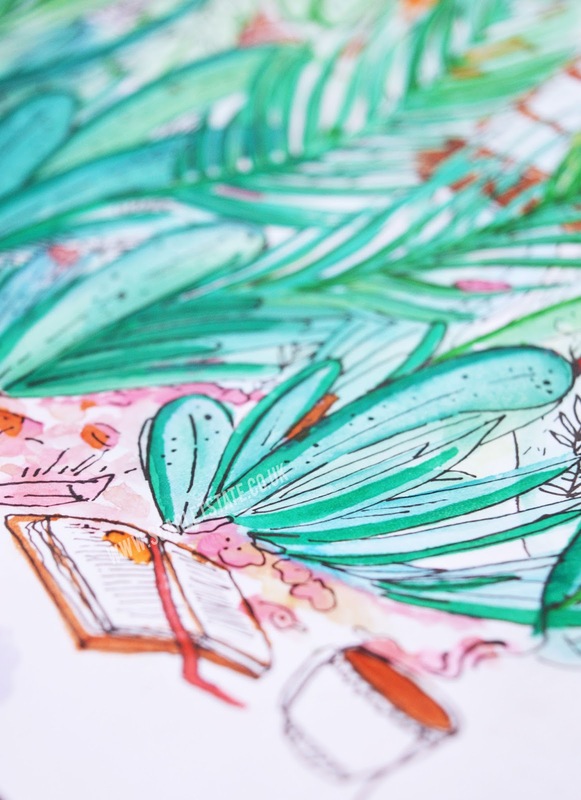 Find me on Bloglovin' | Twitter | Instagram & Youtube! *This box was sent to me but all words and opinions are mine and Mylo's!